Hair Conditioner for silky shine and hydrate your hair. Quality Well Being composed conditioner helps to smooth the hair without feeling burden. It gives them hydration and silky appearance. 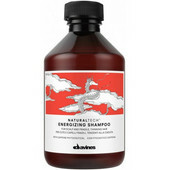 After shampooing the hair with Well-being shampoo eliminate excess water and apply product to lengths and ends. Leave on for 2-3 minutes and rinse off thoroughly. t is advisable to use it combined with Well-being shampoo.